When I was a kid, we had jungle gyms. 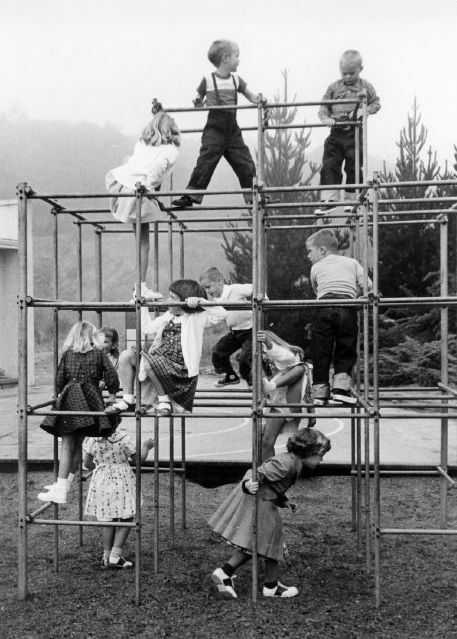 They were on the playground at school, at public parks, at campgrounds ... and I never met a jungle gym I didn't like. You see that little girl climbing on the top of the jungle gym below? That is exactly what I would have done on this climber. You rarely see these now, with playground safety concerns, but they sure were fun! Do you remember retro jungle gyms? 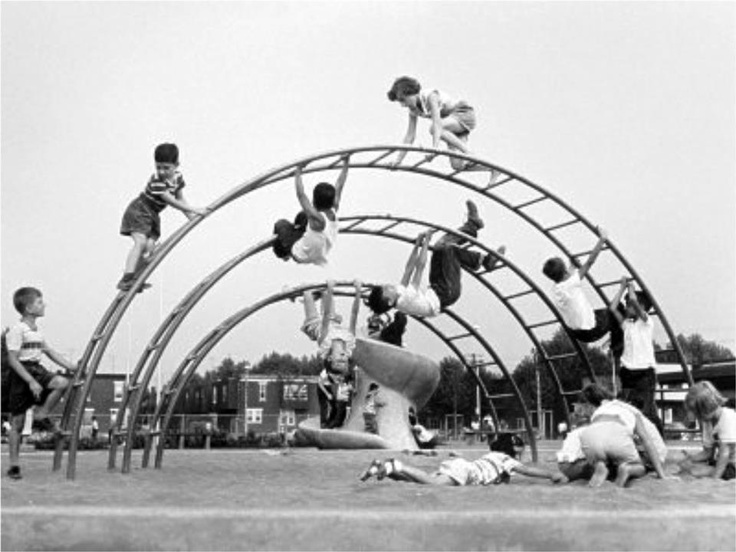 Were you a playground daredevil who hung upside down on jungle gyms and stood up on swings? I'd love to hear from you in the comments, below. Its as though it was yesterday haha!